Turn-based strategy game from Rodeo Games studio created on the basis of a figurative system of the same name. Players guide the daredevils through randomly generated underground in search of fame and wealth. 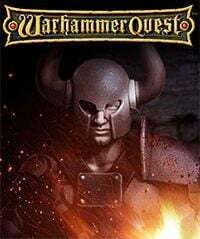 Warhammer Quest is a turn-based strategy game and a digital adaptation of Warhammer system created by Games Workshop in 1995. It was developed by Rodeo Games and released for mobile devices. A year later a PC conversion debuted. In the game, the players lead a team of adventurers who traverse randomly generated dungeons in search of gold and glory. The path is not an easy one, though, for they have to face numerous odds and all kinds of enemies, including orks, trolls and goblins. The gameplay is observed from an isometric camera. In combat, we use attack points that allow us to, for example, attack with a sword. Additionally, we may also use special abilities, such as damaging multiple enemies at the same time. The game mechanics is complemented by character development system, as in time the enemies only get tougher, and our heroes have to keep up the pace; therefore, they get access to new weapons, armors, spells, skills and artifacts. Warhammer Quest has rather minimalistic graphics which isn’t awe-inspiring by any means. Nevertheless, it does its job and doesn’t distract from the very demanding combat.